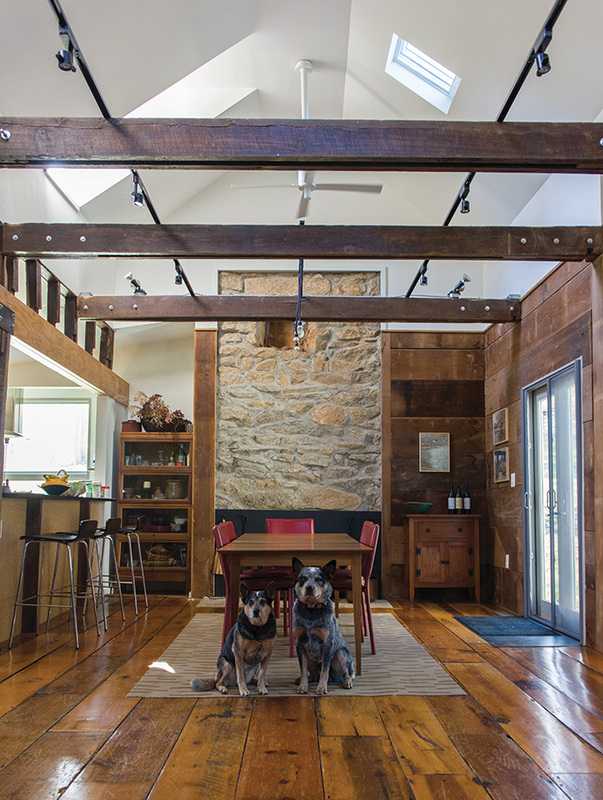 When Merry Foresta and Andy Grundberg were considering renovating and building an addition onto their historic Piedmont home, two factors weighed heavily on their minds: their art collection and their modern architectural tastes. Foresta and Grundberg both have backgrounds and illustrious careers in art and photography—not as photographers, but as curators, analysts, and authors. In a nutshell, they are authoritative experts on the role photography has played in our culture since its inception. The property served as a weekend getaway during the time the couple lived and worked in D.C., but when Foresta and Grundberg retired and moved out to the Piedmont full time, the house needed some work. Their goal then became a renovation that would fully modernize the property in keeping with their contemporary tastes and needs while maintaining respect for the home’s past. The couple never had in mind a large-scale formal addition; Grundberg estimates they enlarged the size of the existing house by only 50 percent. Rather, their focus was to establish a comfortable living space for small, informal gatherings with guests. The goal was not a historically accurate restoration, but rather to create the space they needed with a nod to the history of the original structures, principally expressed by the discovery and repurposing of materials. 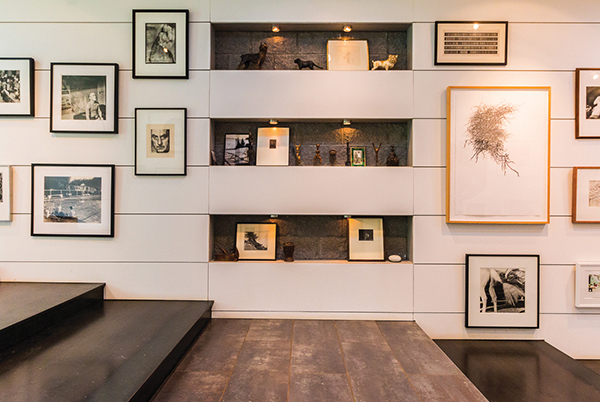 The modern addition had three purposes: to provide a more comfortable and spacious master bedroom and bath, accommodate an additional small living room, and, perhaps most importantly, to provide a place to display their photography and art collection. Exhibiting photographs requires a delicate balance of light—too much and the picture deteriorates, too little and the picture’s beauty goes unnoticed. The architect they chose for the job was Norman Smith of Norman Smith Architecture. Paramount to the owners, who were intimately involved in the planning of the project, was that the design pay particular attention to the spatial experience of moving through the house, the flow of rooms from the old to the new. Smith refers to their “finely attuned aesthetic senses,” developed through their immersion in the visual arts, which directed the design and renovation of the home. He also notes that they were “opinionated, but open minded”; they knew conceptually what they wanted, but were open to considering different methods of implementation.